The first building reaches completion. IFC Jersey forms a new extension to the existing central business district and will establish a clear identity for the island’s premier industry, strengthening the connection between the historic town centre and the waterfront. The IFC 1 building, the first to complete, is part of the overall master plan which will deliver 470,000 ft2 of office space across six standalone buildings with private car parking spaces beneath as well as 520 public parking spaces on three levels below a public park. The building designed by MJP Architects and Richard MacCormac, provides 68,000 ft2 of Grade A office space over six floors with 33 underground private car parking spaces and 72 bicycle spaces. 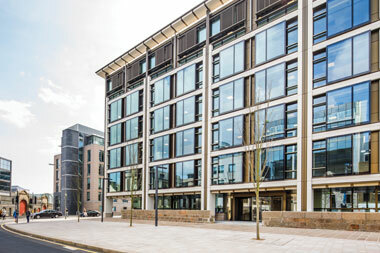 We were appointed by Jersey Development Company (JDC) to deliver building services, environmental, sustainability and structural engineering design for IFC 1. 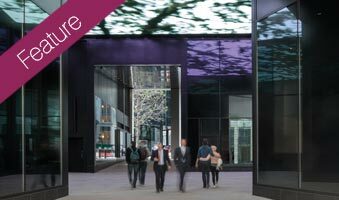 Our sustainability experts provided advice to optimise the proportion of glazing and carefully considered solar shading that has been seamlessly integrated into the façade design. Our Infrastructure & Environment team carried out the Environmental Impact Assessment (EIA) pre-planning. We completed detailed ground investigation for contamination and hydrogeological assessments and delivered geotechnical design. 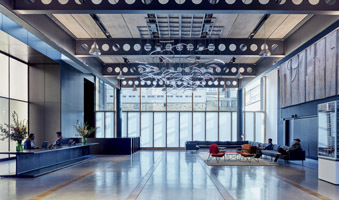 The team also provided transportation, acoustic, ecology, environmental compliance auditing and drainage design input, together with full BREEAM assessment services. 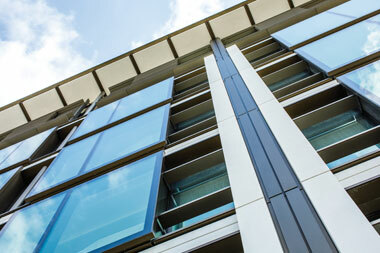 The building is the first in the Channel Islands to achieve a BREEAM ‘Excellent’ rating. Furthermore, its carbon performance will be 19% better than the minimum requirement with 10% reduction in energy by using low and zero carbon technologies, including air source heat pumps. The offices have been designed to use the latest low energy LED lighting with daylight dimming control. The specification of the building is based on Central London BCO 2014 standards and will provide tenants with flexible column free space with natural light on all four sides. 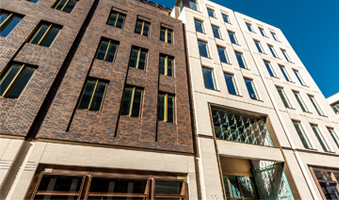 A substantial part of the IFC 1 building has already been let – UBS are occupying the 4th and 5th floors whilst BNP Paribas are based on the 2nd and 3rd floors. The construction of the remaining buildings has been split into phases which will be delivered on a building by building basis in response to demand. IFC 5 is currently under construction and will create 69,000 ft2 of high-quality Grade A office space with an anticipated completion date of July 2018. IFC 6 secured detailed planning consent in March 2017 and will create 70,000 ft2 of Grade A office space over five floors including a restaurant on part of the ground floor. There will also be private underground car parking for 51 cars. 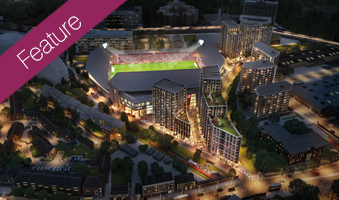 We are providing structural, building services and design services, as well as assisting with BREEAM, acoustics, ground contamination and transport planning for both developments.